I seriously love Halloween promotions that junk food companies put out every year. It's fun to see the special trimmings and extra effort that get added once a year in order to make some extra cash. Halloween Oreo's are a perfect example of great ideas. I mean, just a simple orange creme and scary designs on the cookies? Awesome! While most of them revisit these themes in the future, I find the one-time only promotions to be the most memorable. And while I'll never turn down a few dozen boxes of Count Chocula, I can't help but look at certain things more fondly. Maybe because they are only a one time deal only to be never seen again. I don't feel like analyzing it, I just feel like celebrating it. And celebrate we shall in tonight's entry. 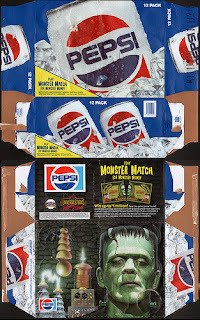 I wish to spotlight the beauty that was Pepsi and Dorito's "Monster Match"!!!! Starting (approximately) around Halloween 1991, Pepsi and their longtime partner in crime, Doritos began a promotion using our favorite Universal Monsters. Appearing on many different bags of Doritos and Pepsi packaging were Frankenstein and his Bride, The Wolfman, The Creature From The Black Lagoon, and even The Invisible Man decided to show his face for a special occasion. And what an occasion it was. 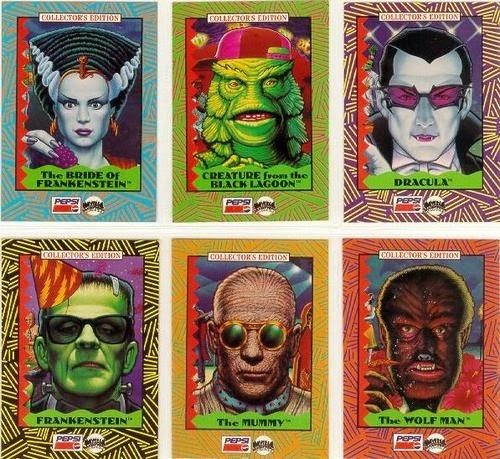 A special "match game"which enlisted help of these crazy monsters. So, ok, it's not a perfect bill, but searches for a perfect pairing were not too successful. But use your imagination. What your looking at is what two separate game cards would've looked like. Not bad, eh? 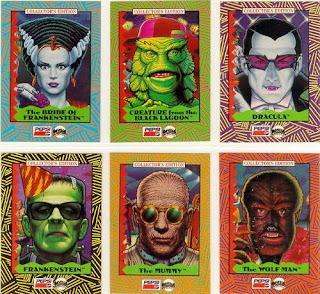 Each card had their own prize to chase after. Frankenstein, being the big daddy, would've landed you a cool mill, while his beautiful Bride would've only landed you 500. 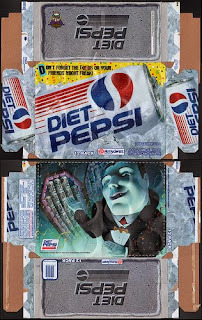 There's something there about Pepsi being sexist I'm sure, but I'll leave for experts to dissect. In the meantime, check out the fun commercial they put together for the game. 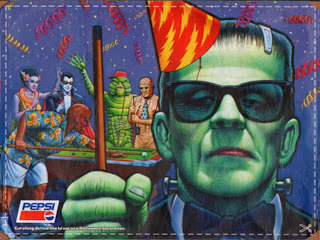 I don't know that Frank should be allowed to enter, considering it's his face on the bag and everything else, but you try telling him that and see how many appendages you have afterwards. So this was the game. 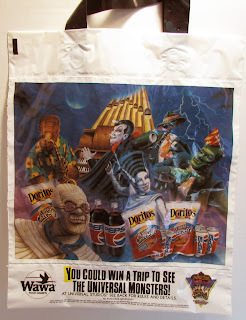 Nothing new, really, but as a young kid who loved monsters and Doritos, it was enough for me to try my hand at entering as much as I could. In fact, I can remember a road trip with my mom and brother to New York around this time. 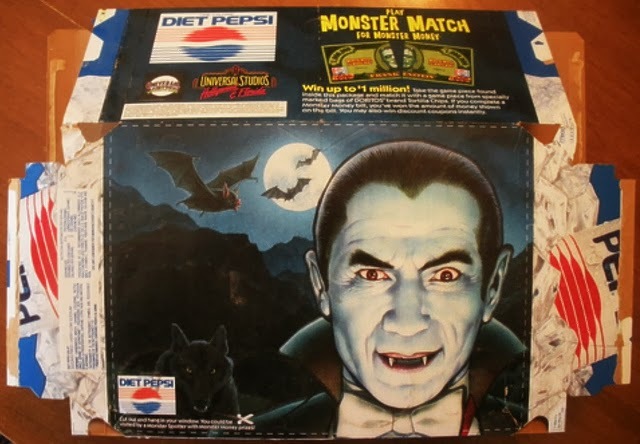 I had the back seat to entertain myself and amongst the pile of comic books, Nintendo Power and WWF Magazine, my snack for the trip was a huge bag of Doritos and a Pepsi and I can remember the Monster Match being a big draw as to why they were my choice. It was perfection! I had everything I loved in the back seat while my older brother yelled at my mom as to why he should be smoking in the car. I couldn't be bothered though. I had monsters, junk food and pages of pro wrestling goodness and tips on where to find Warp Zones in Super Mario Brothers 3. 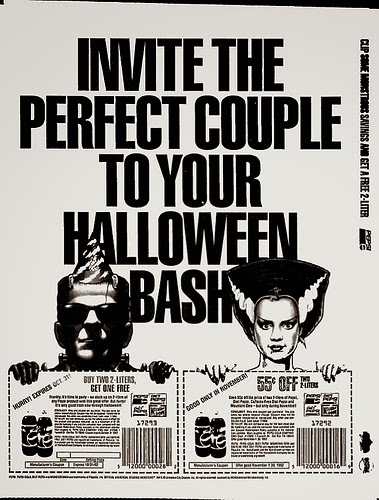 1991 was a fun Halloween, but I think that's something I'll cover later. 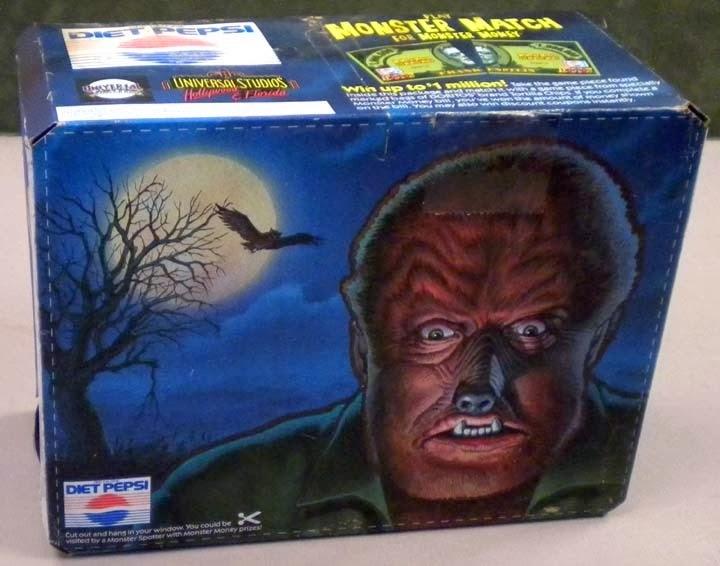 But even as a kid, this definitely made me happy seeing rotten creatures from the big screen on junk food. 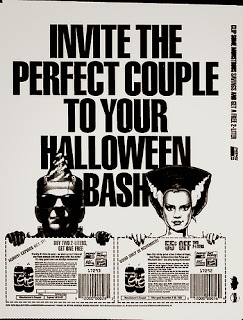 The promotion, naturally, hit Universal Studios theme parks as well. 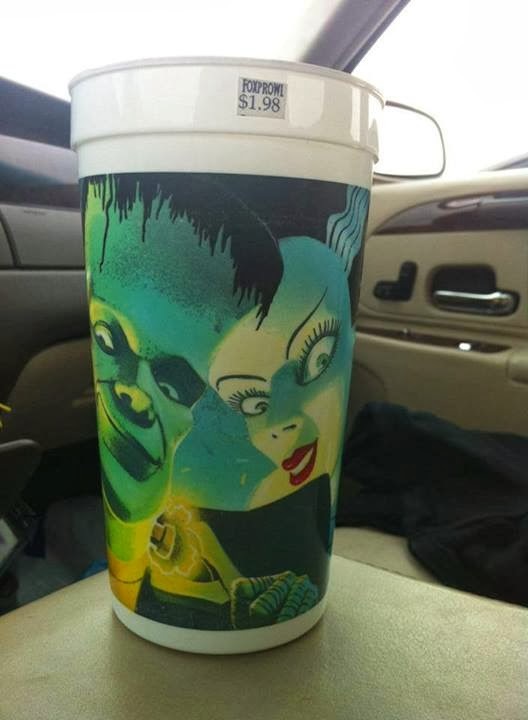 I only know this because I actually found a cup using the artwork that was used on a promotional poster for Pepsi. I'm guessing there are others, but Frankenstein always appealed to me, so I picked this one up you see below. 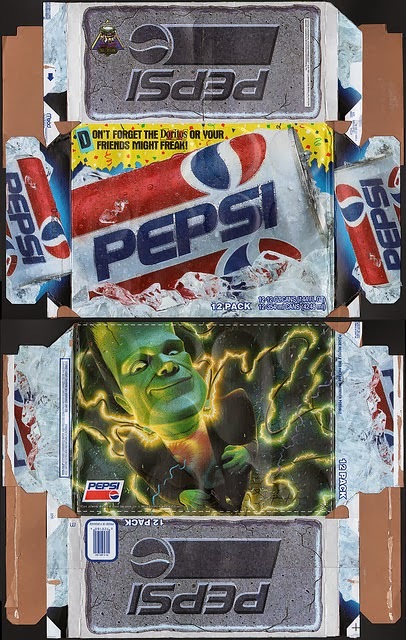 The Universal Monsters would stick around for promoting Pepsi and Doritos for a few years following this, but it wasn't as cool. 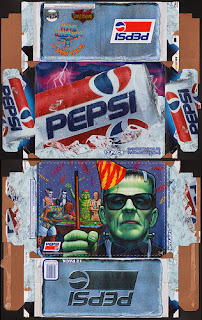 Trading cards were given away and the monsters found themselves as trayliners for Pepsi 24 packs with awesome art in party motifs, but the novelty was gone. And by 1994, the relationship was done. I'm guessing this was a one shot deal and it was such a success all parties decided to stretch it out but it didn't go as well as they'd hope. Shame too. Because I feel it could've been a fun Halloween tradition for all involved. Coupons. I'm assuming from a magazine, but don't know which one. Pepsi trayliner. Other monsters would appear in images like this. 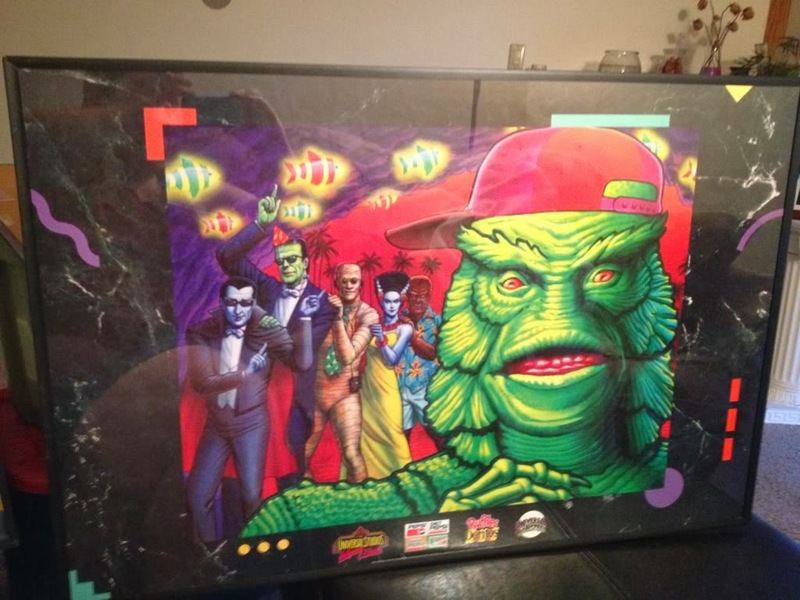 Posters like this were apparently given away, but not too many exist. Photo courtesy of The Universal Monster Army website. So, there you have it. As I said, I always enjoy one time promo deals. And this was definitely a once in a lifetime deal. I doubt you'll see a promotion like this but it was cool when it did happen. Personally, I'd love to see something like this again, but if it doesn't, I'm just glad to see it when it did happen.